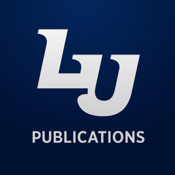 Download our new, completely interactive mobile app and experience Liberty University’s publications like never before. Connect with the university in a new way as you swipe through the Liberty Journal quickly and seamlessly, discovering additional content available only through the app, including videos, photo galleries, and more. The Publications app is the perfect tool for staying up-to-date with all the changes and advancements on Liberty’s campus. Download the app today to learn more about how Liberty University is Training Champions for Christ.